HomeDouble Trouble or Take a Knee and the Buck stops here. Double Trouble or Take a Knee and the Buck stops here. A quite day one moment and then you check Twitter and BOOM! I’m not complaining. Sometimes the fastest way to find out something is by seeing it trend on Twitter. I just happened to look at the right time. So what two things could I be talking about? A Fox News reporter being doused with water? No, and that was childish and rude behavior that could have escalated in to a legal outcome if the lady had wanted it to. Was it the #CAVSvsCELTICS game with one moment showing the King traveling enough to walk the length of the Great Wall of China and the next moment being praised that he could play pro-football in the NFL for his leaping and catching ability? No, although that is entertaining. So what are the two things I’m interested in? The first is a new rule set by the NFL that if players kneel during the National Anthem, the team will be penalized 15 yards. Now some are saying this is a racist move since the primary participants in this action are black. Here’s the way I look at it. Those guys are being paid a lot of money to go to work. This isn’t them paying for a ticket and sitting in the stands during the National Anthem. The players platform is not on the field or the sidelines. You can disagree if you like. but that’s my opinion. Now for the truly important.issue of the day I can honestly say, well actually that’s the only way I do say anything on here, that I am sickened but what I watched. Being a Southern white man some of you might find it odd that I am what might be called a Liberal leaning Republican or what I have decided to call a no party voter. This is different from being an Independent because even that moniker has a certain platform attached to it. I’ve decide that after three decades of being a Republican that I just can’t take it any longer. I am not an issue voter across the board and will vote whoever is closest to what I am. Yes, that is what Trump has driven me to realize so that’s one thing I can thank him for in regards to his being President. So what is the important issue? 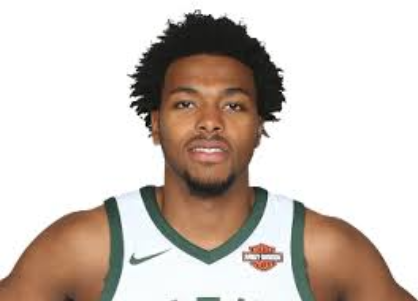 A Rookie professional basketball player, or first year player, named Sterling Brown, a young black man, was arrested in January between 2 and 3 AM in Milwaukee where his team the Milwaukee Bucks is based. Admittedly he did the awful thing of parking illegally in the middle of the night to take up the spaces from the rush of the crowd that was dying to get in to the Walgreen’s drug store. I watched all 30 minutes of the body cam video the police finally released. I saw a young man who was not antagonistic, not arrogant, not aggressive, not resistant, not disrespectful, basically I saw the ideal young man waiting to get a parking ticket that he deserved. Then what did I see? At least 7-8 police vehicles arrived, Sterling Brown was surrounded, and after quietly waiting and speaking with the other officers, and repeatedly reaching in to his pocket to turn of his car alarm that was being activated by a rather short officer. Another officer yells for him to take his hands out of his pockets and Brown says he has something in his hand, in other words it’s taking him a second to follow the order, which was an odd order since he was doing exactly as he had been doing the entire time. Then he is tackled to the ground by numerous police officers and then while he is on the ground, defenseless, he his tased, and then handcuffed. The video is 30 minutes long. The arresting officer toward the end of the video said he was sorry he didn’t recognize Brown’s famous name, and continued in a sarcastic tone and stated that everything was being recorded, as if the recording would support his view of things. You know, there are some videos that can be interpreted in different ways, but this one? Wow! This was so bad that the mayor of Milwaukee expressed how serious his concerns were as did the Chief of Police. All concerned are basically hoping that the citizens of Milwaukee will not take any violent protest action. Brown stated that he will be handling this. He’s going to be filing a civil rights suit against the department. Looking at his mugshot it looks bad, as though he is on some drug, and that is what a lot of racist will say, but he’s not. Just think about it, it was already late, then he gets tackled, tased, arrested, and basically put through the ringer. Of course as soon as he arrived at the police precinct and they realized who he was and just what they were going to be facing, they dropped everything, even the idea of the ticket. And what has happened to the officers involved? They have been disciplined. Disciplined? Firing should be what happened. Not only did they do wrong, but they also lied in their reports about what happened. Thank goodness for the body cam video as well as the security video from the cameras in the parking lot. You may be able to tell I am a bit fired up over this. I cannot stand it when stupid people do stupid things like this. I just don’t understand it. I really don’t. You see, I like people of all colors. In fact I love them. A lot of my favorite entertainers are something other than white. And as far as my celebrity crushes I can maybe think of one or two that are white. It just doesn’t matter to me. Yes, I am aware there are people of different colors out there and that they are treated differently by a lot of people, but that doesn’t mean I am that way or that I have to understand why they act that way. I never will understand it. Even after all Sterling Brown went through, he apparently went home, got some sleep, and then that night played in his game just like a responsible young man should. The reporters saw the bruises and cuts on his body during the game.